list of 100 best completely free tools, tools with both free and paid options, and free trials. Here you will find a complete list of SEO tools. Paid tools are essential when you need advanced features, increased limits, historical features, or online support. For other tasks, a free tool does the trick. Get it for just $1 !! 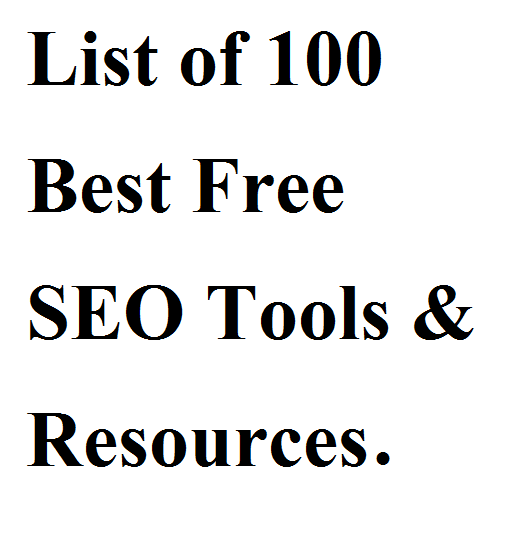 List of 100 Best Free SEO Tools & Resources is ranked 5 out of 5. Based on 8 user reviews.